Steel is hard and lifeless, save for a subtle elasticity seen in the mathematics of structural calculation and in the vibrations of a steel guitar. But steel comes to life in the forge. The intense heat takes the material into another world where it radiates energy and becomes plastic and malleable. Once brought to life by the heat, new forms emerge. With hammer and anvil, I seek out these new forms. As a blacksmith, steel, iron, and brass give me a pallet of colors, textures, and physical properties to work with. Each material comes with its own long history within the context of the human experience. They are complex, rewarding materials that I continue to evolve with as a metalworker. 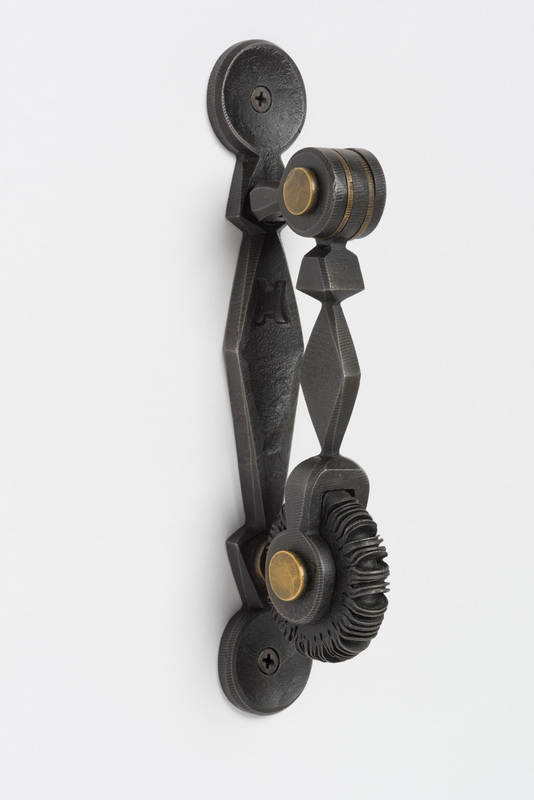 My work starts as technical challenges and investigations into the process of blacksmithing. When new forms and process become illuminated, new sculptural ideas tend to follow. More often then not, this leads to more technical challenges and the drama continues. Technique inspired by the work, and work inspired by technique.